Reason: My sister bought this at the library and told me it was really good and I must read it. Alice is a 17 year old girl growing up in a poverty stricken household but things aren't helped by her alcoholic and abusive father who only works to feed his habit rather then his family. Alice has a job sweeping floors in a factory but once that work ends you'll find her standing at a street corner singing. One day a lady hands her some money and tells her with a bit of training she could go far... Alice begins to dream big but it is only really fuelled when she is hit by a car and the men driving stop to see if she is ok. One of the brothers tells her they would pay to see her sing even though he never gives her a second thought on his journey to the U.S.
Alice's fire is really fuelled by this and she is determined to make her way to the U.S anyway possible to meet this man again but also to get her career on the move. She manages to make it across the ocean but does she make a name for herself? I really enjoyed this book even though in parts it was too detailed and did drag on for a few pages but at least something is always happening to keep the story line moving. Alice is irritating and a spoilt brat at times but her generosity and good luck make you wonder how things will turn out. I've read quite a lot of Lyn Andrews books, and to me, they all seem to turn out the same, poor girl does good eventually. 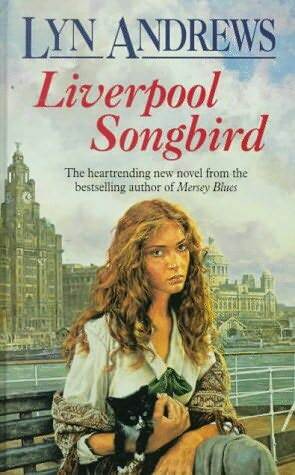 On saying that though, I do enjoy reading "Liverpool" books, Helen Forrester being one of my favourites. I usually find that with chick literature, that the author seems to use a similar story frame which can get quite predictable even when its different location/character/events. Still it helps when you want to just relax to something easy. This is the first of Lyn Andrews books I've read but I probably won't go out of my way to buy any myself. I've not read any of Helen Forrester books but I'll have to keep my eye out for one.